1 Make the green mango sauce: Put all ingredients in a saucepot and allow to simmer for 5 minutes. Set aside. 2 Season tilapia fillets with salt and pepper and dredge in flour. Deep-fry until golden brown. 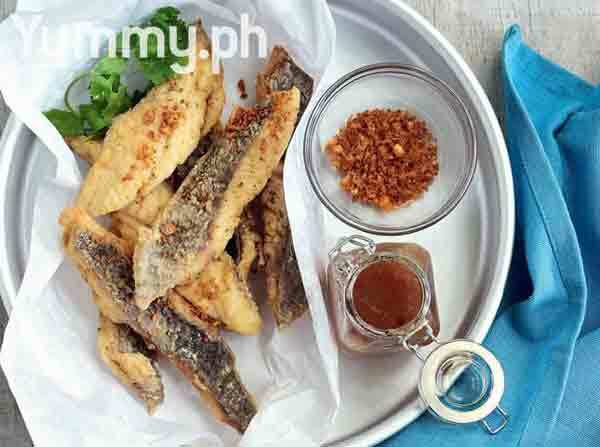 3 Serve tilapia fingers with green mango sauce as dip or poured over fillets and topped with cilantro and toasted garlic, if desired, according to Yummy.ph.